On Thursday, September 20, 2018, from 2–3:30 PM EDT, Kelly Anne Tappenden, PhD, RD, will examine the many physiological roles of the intestinal microbiota, the diagnoses associated with intestinal dysbiosis and how nutrition can optimize this important community. Dr. Tappenden received her B.S. and Ph.D. in Nutrition and Metabolism at the University of Alberta in Edmonton, Canada. Dr. Tappenden is also a Registered Dietitian, having completed clinical training at the Misericordia Hospital in Edmonton, Alberta. After completing a post-doctoral fellowship at the University of Texas-Houston Medical School, she joined the faculty at UIUC in August 1997 as an Assistant Professor of Nutrition. 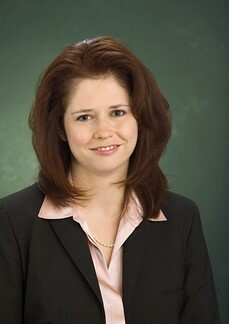 In 2003, she was promoted to Associate Professor with indefinite tenure. Dr. Tappenden enjoys teaching within her own laboratory, advanced undergraduate and graduate nutrition courses. While working in Dr. Tappenden’s research group, many of her colleagues-in-training have received prestigious awards from the University of Illinois, the American Society of Nutritional Sciences and the American Society of Parenteral and Enteral Nutrition. Dr. Tappenden works mostly on academic programs as an Associate Dean of the Graduate College. For her efforts in the classroom, Dr. Tappenden has been listed on the University of Illinois Incomplete List Of Teachers Ranked As Excellent by Their Students nine times in the past eleven years. In 2004, Dr. Tappenden was appointed to the University of Illinois College of Agricultural, Consumer and Environmental Sciences Academy of Teaching Excellence. Dr. Tappenden has no relevant disclosures to report. She has certified that no conflict of interest exists for this program. View our disclosure policy.